My next walking blog will be out later, describing our medieval pilgrimage walk from Richmond to Easby Abbey. A grand walk along the River Swale to see some of the finest medieval wall paintings I’ve seen for a long time. But just a reminder that I have a writing blog at www.johnbainbridgewriter.wordpress.com which gives lots of info on my writing life and the books. 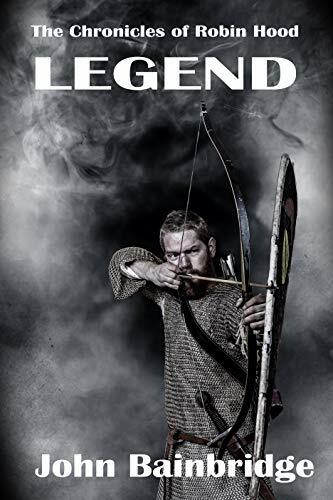 I’ve just published Legend, the fourth and final book in my series The Chronicles of Robin Hood, which attempts to put the famous outlaw in something like a realistic medieval setting. All four books are now out in paperback and on Kindle. I’ve also written some non-fiction books on walking, including my rambling memoirs Wayfarer’s Dole and The Compleat Trespasser.